In a fitness supplement industry mostly dominated by over-hyped, ineffective products that deliver marginal gains at best, creatine is one of the rare muscle building compounds out there that is worth the money and that truly delivers real results in most trainees. Creatine is the single most studied sports supplement in history with endless mounds of research demonstrating it as a safe and effective aid for improving muscular size, strength and performance. First off, it helps you lift more weight and perform additional reps in the gym by increasing the efficiency of your body’s ATP system. ATP (adenosine tri-phosphate) is the key energy molecule that your body utilizes during short, explosive bouts of exercise such as weight training. This energy is produced as the body “rips off” one of ATP’s phosphate groups and converts it into ADP, or adenosine di-phosphate. Supplemental creatine helps the body convert ADP back into ATP at a faster rate which maximizes your muscular strength and power, and as a result, your gains in lean muscle tissue as well. Secondly, creatine produces a slight increase in overall muscle fullness by drawing additional water into the muscle cells for a thicker, harder appearance. Contrary to popular belief however, this does NOT cause you to appear “soft” or “bloated”, since the water is stored inside of the actual muscle cell and not directly beneath your skin. Sounds good, but how exactly should you take creatine in order to achieve the greatest benefits? Proper creatine supplementation is a topic surrounded by a ton of misinformation, mostly perpetuated by shady supplement companies looking to cash in by selling you over-priced “breakthrough” form of creatine, or by people who are simply uninformed and end up spreading false info without even realizing it. 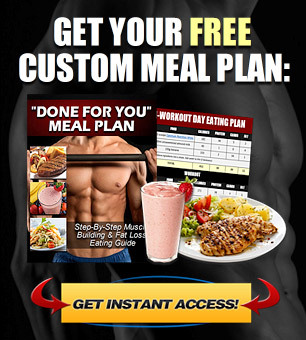 If you want the honest, straight ahead truth about how to take creatine properly, this “definitive guide” will teach you everything you need to know in order to get the very most out of your creatine supplementation, and while saving you money at the same time. I’ll be outlining the best form of creatine to use, how much creatine you really need, when to take creatine during the day, and what to mix it with for the best results. In the end, you’ll discover that creatine is actually an incredibly straight forward supplement to use, but I’d still suggest reading this article all the way through as you’ll learn some valuable info along the way and it will explain the truth behind many common creatine myths and misconceptions you might be wondering about. 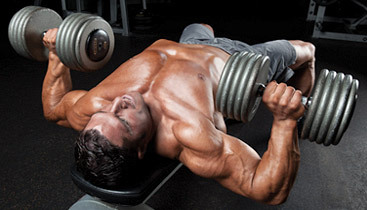 1) What Is The Best Form Of Creatine To Take? Ever since the original creatine monohydrate was released back in the 1990’s, a whole slew of “new and improved” creatine products have come along with it. Creatine ethyl ester, buffered creatine, creatine hydrochloride and creatine nitrate are just a few of the many examples. First, they’ll point out a bunch of supposed “problems” associated with creatine monohydrate. The most common of these include “poor absorption rate”, “bloating”, “upset stomach” and “cramping”. 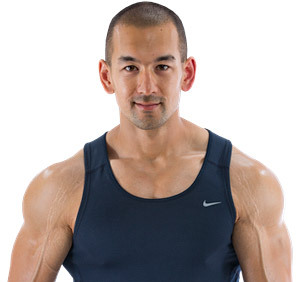 Second, they’ll claim that their specific form of creatine solves these problems to deliver superior muscle building and strength boosting results. All of the claims these companies make about creatine monohydrate are nothing more than made-up nonsense in order to sell you their “improved” (and always far more expensive) creatine supplement. * Creatine monohydrate has an extremely high bio-availability in humans of nearly 100% and will result in full creatine saturation of the muscles within 2-3 weeks of continued use. * Creatine monohydrate (like all types of creatine) does increase intracellular water retention to give your muscles a fuller look. However, this water is deposited inside of the actual muscle cell itself rather than subcutaneously, and for that reason does NOT cause any form of “creatine bloating”. * Creatine monohydrate is the most widely studied sports supplement available and has been shown to be both safe and effective when consumed at the recommended dosage. It does not cause unwanted side effects such as cramps or altered kidney/liver function in otherwise healthy individuals. 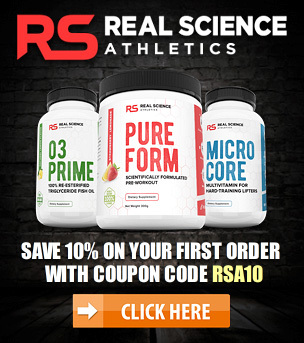 The research on this issue is clear: creatine monohydrate is still the best creatine on the market, and no other forms have ever been demonstrated to deliver superior effects. In fact, some of these “advanced” forms have actually been shown to be directly inferior to monohydrate. Add in the fact that all of these newer forms of creatine are about 3-10x more expensive than monohydrate and the decision should be pretty obvious here. Which creatine is the best form to take? My simple recommendation is to purchase a 100% creatine monohydrate powder in the form of “Creapure”, and avoid all of these other so-called “advanced” forms that will do nothing more than unnecessarily drain your wallet. Creapure is the highest quality creatine form available and will ensure that you’re receiving a top grade product free of impurities. Just check the label on your creatine supplement to easily find this information. 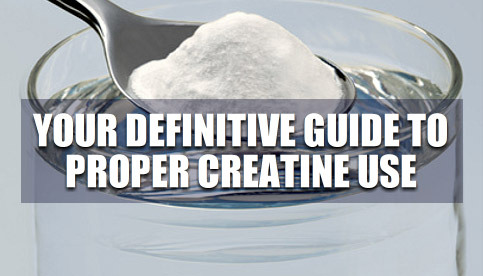 2) How Much Creatine Should You Take Each Day? Don’t be fooled by some recommendations you’ll hear that advocate upwards of 10 grams of creatine or more per day to get results. Again, this is just another marketing tactic used by companies to sell you more product that you don’t actually need. For most people, a 3-5 gram per day creatine dosage is sufficient to achieve full saturation of the muscles within 2-3 weeks of continued use. 1 teaspoon is equal to 5 grams. Although many creatine products will commonly recommend the use of a “creatine loading phase” (where 20 grams total is consumed in divided doses of 5 grams for the first 4-5 days) this is ultimately an unnecessary method. Although a loading phase will allow you to experience the full benefits of creatine within a slightly shorter time frame, 2-3 weeks at the standard 3-5 gram per day dose will still get you to the exact same point regardless. Going with the lower creatine dose over a slightly longer period will save you a bit of cash and also make the process easier since you won’t have to consume such a large quantity of creatine in one day. Also keep in mind that there is no need to perform a “creatine cycle” by periodically going “on” and “off” of your creatine supplement every few weeks or months. Some people recommend this approach by claiming that it will maximize the effects of the creatine or that it is necessary in order to “give the body a rest”, but the reality is that creatine cycling is simply a waste of time and effort. Continually un-saturating and re-saturating the muscles with creatine is not going to give you any additional added benefits beyond standard continuous use, and there is no evidence to suggest that ongoing creatine use poses any health risks or causes any alterations to the body’s natural production of creatine. Again, just take 3-5 grams of creatine once per day on a continuous basis. There is nothing more to it than that. 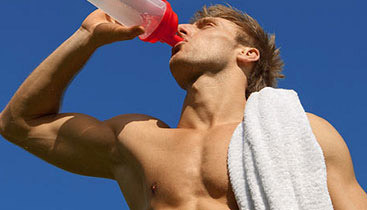 3) When Is The Best Time To Take Creatine? The first is to take your creatine pre-workout for the strength increase that it will deliver, and the second is to take your creatine post-workout since that is the time when it will be most highly absorbed. The truth is that the specific time of day that you consume your creatine actually makes no practical difference at all. First of all, creatine has no immediate, acute effects on strength and performance. Once your body has reached full creatine saturation, that creatine is always readily available for your muscles to use any time they need it. For that reason, there’s no specific benefit to taking creatine before your workout. 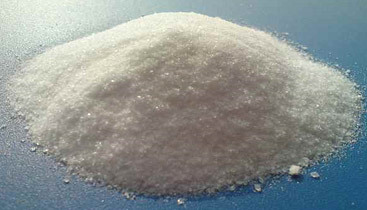 Secondly, no matter when you take your creatine, it will all eventually be absorbed by the muscles one way or another. Taking creatine after your workout may allow for faster absorption, but faster absorption doesn’t provide any unique advantages in the big picture. So, when is the best time to take creatine? Just take your creatine at whatever time of day is most convenient for you, whether it be in the morning, with lunch, pre-workout, post-workout or even before bed. The question of “when to take creatine” really just comes down to personal preference. Side Note: Anecdotally, some users do report restlessness when taking creatine immediately before sleep, so this may be one factor to take into account if you’re planning to take it very late in the evening. 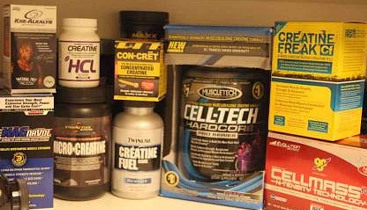 4) What Should You Mix Your Creatine With? The standard practice has always been to mix creatine with a high sugar drink, such as grape juice, Gatorade or dextrose powder. The idea here is to use the simple sugars to “spike” your insulin levels, which will then increase the absorption of the creatine. 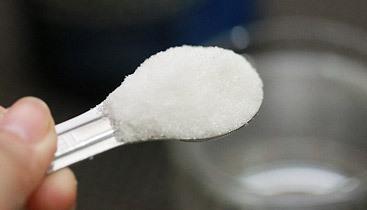 This is another well-accepted creatine “truth” that falls short, as research has shown that total net creatine uptake is not affected whether it is taken on its own or alongside protein, carbohydrates or fats. The body is incredibly effective at the process of digestion and absorption, and regardless of what you mix your creatine with, it will still eventually find its way to the muscle tissue. Mixing creatine with simple sugars may allow for faster absorption, but again, faster absorption doesn’t really give you any advantage. In addition, mixing your creatine with 30 grams of simple sugar every single day adds up to an extra 840 calories per week. If you’re not careful in tracking your carb intake, those calories can very easily add up over time. 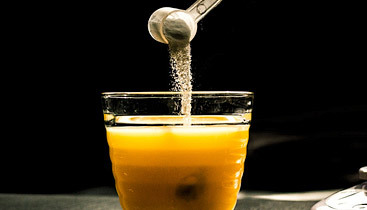 On top of this, it does not matter whether you mix your creatine with hot, warm or cold water (your body will break down and absorb the creatine once it reaches your stomach regardless), and contrary to some old outdated advice you may still hear floating around, combining creatine with caffeine does not negatively affect its uptake either. Bottom line? Mix your creatine with whatever you want. Juice, tea, coffee, water… it really doesn’t matter and this is just an issue of personal preference. Just take 3-5 grams of 100% creatine monohydrate (sourced as “Creapure”) once per day on a continual basis, at any time you prefer, and mixed in any liquid of your choice. No need to load. No need to cycle. No need to buy any “advanced” creatine forms. No need to mix with high sugar juice or in warm water. No need to specifically take it pre or post workout. And no need to take more than 5 grams daily. That said, hopefully this article cleared up some creatine questions you may have been wondering about, and that it will help you keep things simple, straightforward and inexpensive for yourself moving forward. Whether you’re aiming to build muscle, gain strength, maintain lean mass while cutting, or improve athletic performance, creatine monohydrate is definitely a worthwhile supplement to include in your plan. Although a certain percentage of the population does not respond to creatine in any noticeable way (known as “creatine non-responders”), given the safety and extremely low cost, it’s definitely worth trying out for yourself regardless. If you have any questions feel free to leave them in the comments below and I’ll be happy to help.